The Vegan Magpie: Restaurant offers! Hello! 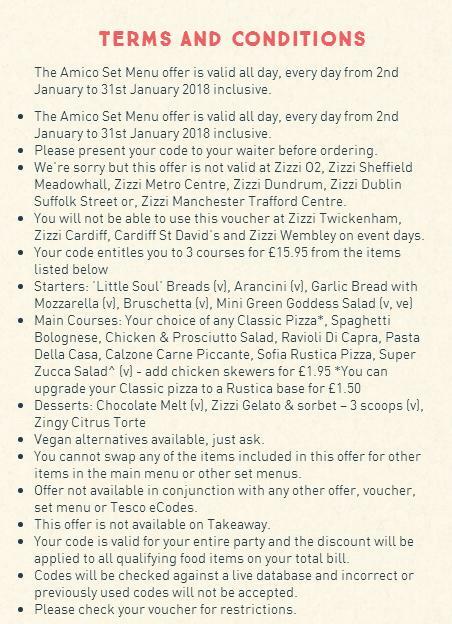 With it now being January, you'll likely see a fair few restaurant offers. Here's some of them! 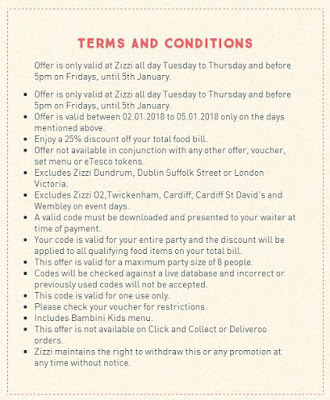 Don't forget about Tesco vouchers for restaurants including Ask and Zizzi too! 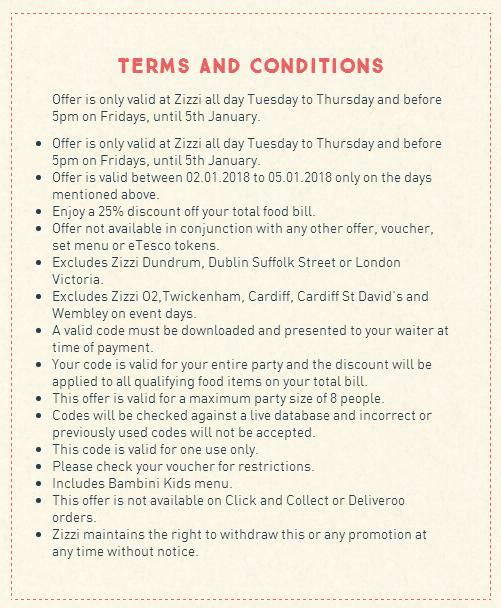 Tuesday to Thursday and up to 5pm Friday Zizzi are offering 25% off all food for this week (until 5th January). There are a few restaurants that this isn't available in, so I've added the Ts and Cs below for an easy check. This also excludes set menus (however there is a set menu offer which I'll post about next!). What's also quite exciting is that they have released a new 'special' pizza, called 'arcobaleno' which can be made vegan! This features pink beetroot, sunblush tomatoes, spinach and avocado. It's vegetarian, just ask to swap the cheese. 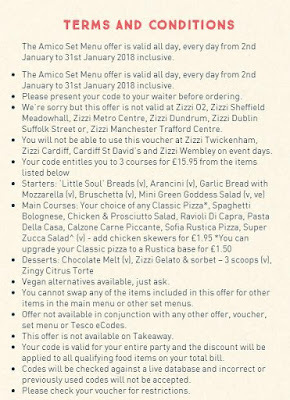 As I mentioned, there is also a set menu, where you can get 3 courses all day every day until 31st January for £15.95. Being a set menu, you can only choose from certain dishes, however vegan options are available for each course! Here's the menu and Ts and Cs for this. Ask are offering 50% off all main courses! This is Sunday to Friday all day (so just not Saturday) until the 7th January 2018. A few branches are not included, so please see below for the terms and conditions. 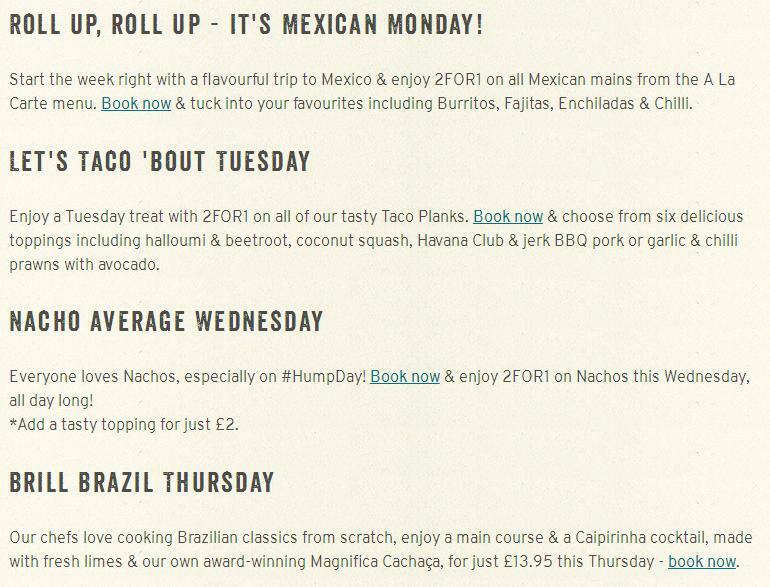 Las Iguanas have a range of offers, including Mexican Monday (2 for 1 Mexican mains! 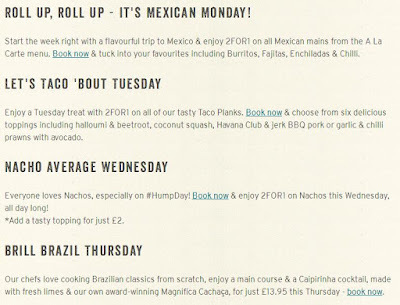 ), Taco Tuesday (2 for 1 Taco planks), Nacho Average Wednesday (2 for 1 nachos) and Brill Brazil Thursday (main course and cocktail for £13.95). Very nice! Ms Cupcake Veganuary £5 offer! Veggiestuff Schlagfix Half Price Offer! Besos de Chocolate drink Veganuary offer!